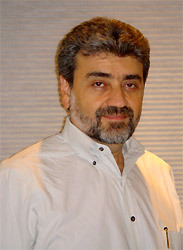 Dr. Ibrahim Anwar Abdelazim is a Consultant of Obstetrics and Gynecology, Ahmadi Hospital KOC, Kuwait. He is a Professor of Obstetrics, Gynecology, Endoscopic Surgery, and Reproductive Medicine Ain Shams University, Egypt. He did his Master’s Degree of Reproductive Medicine, Homerton University Hospital, UK, 2017.